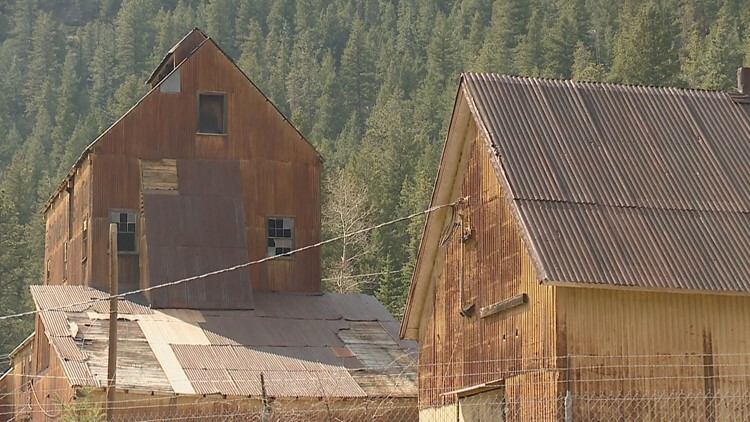 A developer wants to turn the Stanley Mines near Idaho Springs into a new adventure park. West of Idaho Springs, just off Interstate 70 is a landmark Bruce Russell said can’t be missed. 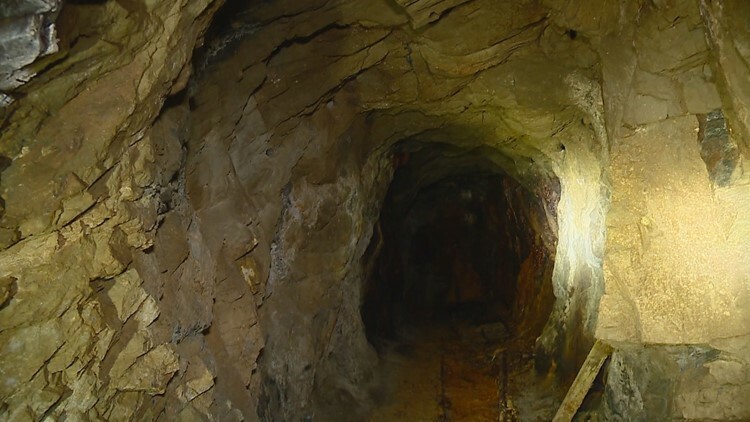 It’s the Stanley Mine, and Russell is working on an idea to take the rundown area dating back to the late 1800s, and spend $15 million transforming 40 acres into Colorado’s newest adventure park. “We’re building on that historic core – it’s fun, it’s a very exciting kind of project,” Russell said. While a lot of the work will be to preserve the history, there are also plans to build a zip ride with an alpine coaster, and a mine drop that would send people plummeting 700 feet. “You have to be able to entertain people, and that’s what they’re willing to pay for,” Russell said. Ben Miller, a mine engineer who worked on the mine drop ride at the Glenwood Caverns Adventure Park, is helping out with project. He said the last time the mine was used was back in the 1980s. Since then, it’s been sealed off to the public. “November of 1981 was the last time the hoist was used,” Miller said. Now it’s all being updated to become the state’s newest adventure park that will include tours into an old mine shaft. “It’s a whole different world,” Miller said. Work on the project is expected to take three to five years, but some of the attractions could be open by Memorial Day weekend 2019. The palette of Denver’s palate deepens and broadens today when Goed Zuur opens in Five Points, serving not just a vast spectrum of complex sour and wild ales, but a sophisticated range of small plates and unusual dishes. Set inside a 120-year-old brick building with a carefully restored 1930s-era mural on the side, Goed Zuur, which means “good acid” in Dutch, boasts an interior look best described as Steampunk meets European chic. Long tables with elevated platforms for meat-and-cheese boards run along one side, while an artsy clock covers an entire wall on the other. In the middle is a copper-topped bar and custom draft tower made of industrial pipe, wood and lightbulbs. But it’s the menu that is going to change the game in Denver. Not only will Goed Zuur serve only sour and wild ales — becoming what is probably the first such bar in the nation — but it will pair those often polarizing, often exquisite niche beers with a complementary menu of charcuterie, hand selected cheeses and housemade bread. On the food side, co-owner and chef Anthony Lopiccolo will prepare dishes like duck cassoulet and tonno di maiale, which is made with pork leg rather than the traditional tuna, and preserved and served in a jar of olive oil. Curated, upscale pairing menus like this aren’t often found in Colorado beer bars. While Goed Zuur would be perfectly at home in San Francisco, Portland or New York, co-owner John Fayman thinks it will find its best audience in Denver, where beer drinkers are educated and ready — ready to enjoy beers that are challenging and high-priced, often because they are rare and among the most difficult for brewers to make. “If you put our breweries here that make those beers – and the amount of knowledge that the people making them have – against any other market in the country, and maybe in the world, we would come out ahead,” says Fayman, who owns Backcountry Pizza and Taphouse in Boulder and Backcountry Pizza in Nederland. As a result, Fayman will line up local stars like Crooked Stave, Casey Brewing & Blending, Avery Brewing, Trinity Brewing and Epic Brewing alongside national players like Russian River, Almanac Beer, Prairie Artisan Ales and Jester King, and international powerhouses like Tilquin, Cantillon and Brasserie Dieu du Ciel. There will always be 24 to 26 beers on tap, along with a large cellar of bottled beers that Fayman is still putting together. The beers will all be served in three stylish logo glasses specific to different kinds of beers: barrel-aged sours, for instance, will get large tulip glasses, while goses will be poured into taller, thinner vessels. All of the glasses are sixteen ounces, but the pours will be closer to ten so that people can enjoy the nose and aroma of each one. Most of the beers will also be available in 25-ounce decanters, which will be used for serving and pouring. The bottled beers and kegs will be stored in a large stone- and brick-lined 1,200-square-foot cellar that includes a modern lift to the main floor. The basement, which stays at a cool 49 degrees even on hot summer days, was a real selling point for Fayman, who is used to seeing his European counterparts storing beer that way. The building, at 2801 Welton Street, had been home to a variety of bars, restaurants and markets over the decades since it was built sometime around 1895. Most recently, it housed BJ’s Port, which closed in 2007. Goed Zuur, with seating for eighty to one hundred people, opens at 3 p.m. today (May 8) and plans to feature a special beer tapping at 6 p.m. each night this week. Keep reading for more photos. The 56-unit, eight-story Julian Heights condo project recently got a green light from the city of Denver. West Colfax Avenue and Julian Street intersection. The project is the latest planned for Denver’s changing West Colfax neighborhood. Denver-based Aussie Developments LLC purchased the property in November 2015 for $2.2 million. Studio K2 Architecture is designing Julian Heights. The Denver architecture firm did not return multiple calls about the project. Julian Heights will contain ground floor retail spaces and units ranging from 420-square-foot studios with mezzanines to 1,400-square-foot two-level condos, according to K2’s website. Community leaders in West Colfax are encouraging revitalization of their neighborhood. Alamo Drafthouse Cinema is expected to open in the neighborhood in May and anchor the roughly 20-acre area between West Colfax and West 17th avenues being branded as Sloans. The development is less than a mile away from Julian Heights. The condos are replacing a vacant field where it appears a house once stood. Goed Zuur expects to begin pouring life back into a more than 120-year-old spot in Denver’s Five Points neighborhood starting this spring. The pub focused solely on sour and wild beers is tentatively set to open April 7. Goed Zuur would be the latest draw along the historic, reinvigorated Welton Street Corridor and occupy a building that’s sat dormant since 2011. “What I’m hoping is us coming into the neighborhood, along with Spangalang and Rosenberg’s, helps bring businesses and jobs back to the area and makes the area more like RiNo where there are so many places to go,” said Cody Boll, future general manager at Goed Zurr. Boll is currently the GM at Backcountry Pizza & Tap House in Boulder. The owner of the pizzeria, John Fayman, announced last year he was opening Goed Zurr — “good acid” in Dutch — in the building at the north corner of 28th and Welton streets. After being built in 1895, the building at 2801 Welton St. served as a tavern, hotel and apartments. The property was once home to Rice’s Tap House, a notable establishment active in the Five Points’ jazz scene, according to the Denver Urban Renewal Authority. In 2015, DURA agreed to put $350,000 in taxpayer dollars toward the $1.5 million needed to redevelop the two-story, 5,000-square-foot building. Goed Zurr is expected to occupy an 80-seat pub on the first floor. The second floor provides office space for lease. During the renovation, an old 1940s era mural for Yuye Café and Coca-Cola was discovered on the exterior of the building and restored. Boll is hoping there are enough beer lovers and nerds in Denver to support a pub dedicated exclusively to sour and wild beers. Wild beers are typically made using a certain kind of yeast (brettanomyces) that’s found in lambic and gueuze Belgian beers. Goed Zurr plans to launch with about 70 beers on its bottle list, 24 to 26 taps and a few food options to pair them with like fine cheese, charcuterie and fresh breads. A ghost sign is being restored on the building that will house Goed Zuur. With more than 300 breweries making some of the most well-regarded, well-known beers in the United States, Colorado is frequently referred to as the Napa Valley of Craft Beer. But Colorado is home to some of the country’s best sour and wild beer brewers as well. So, are we also the Belgium of the New World? That’s why Fayman plans to open Goed Zuur, an eatery and taproom pouring only wild and sour beers from Colorado, the United States and around the world, paired with small plates, charcuterie and cheeses. Five years ago, a taproom serving only sour and wild beers probably wouldn’t have worked, both because this style of beer – and its higher price point – might have turned people off. “But beer education has come a long way on the Front Range,” Fayman says. Located at 2801 Welton Street in Five Points, Goed Zuur, which means “good acid” or “good sour” in Dutch, will have twenty taps at all times. But the real gem will be the dirt-floored bottle cellar, which will begin with 150 different bottles and could eventually reach 500. “Some of these are made is such small amounts that it is easier to get them in bottles than draft,” Fayman explains. The 1,200-square-foot basement cellar stays at a cool 49 degrees even on the hottest days in Denver, he adds, and that feature was a big part of why he chose to lease the space. Goed Zuur could open at 2801 Welton Street in time for the Great American Beer Festival. “All of my friends’ spots in Belgium – cellaring lambic and gueuze is a big part of what they do. So we built this with that in mind,” Fayman says. The building had been home to a variety of bars, restaurants and markets over the decades, most recently BJ’s Port, which closed in 2007. But the basement hadn’t been used in a long time; Fayman says there was still a wooden cooler down there and beer kegs dating back to the 1940s or ’50s. The lambic and gueuze styles are both examples of sour beers, which are made using a variety of bacterias and wild yeast strains. Wild beers are made with Brettanomyces yeast that lends them numerous funky flavors. These beers are typically associated with Belgian breweries, but are also made in other European counties, and in the U.S. In Colorado, New Belgium, Odell, Avery, Crooked Stave and Trinity Brewing are all known for their well-regarded sour and wild ales, but other small and medium-sized breweries in Colorado have also developed strong sour and wild programs, including TRVE Brewing, Casey Brewing and Blending, Epic Brewing, Former Future’s Black Project and Dry Dock. Even the tiny Our Mutual Friend got on the map last fall when it won a silver medal for a sour beer at the Great American Beer Festival. Fayman came to Colorado from Kansas and bought Backcountry Pizza in Nederland in 2006, immediately changing over many of the handles to craft beer. After noticing how few bars in Boulder focused on craft beer, he opened Backcountry Pizza & Taphouse in that town in 2011. The spot now boasts 68 taps full of craft specialties and is often one of the first or only bars to land very rare and sought-after kegs. The building in Five Points, which was built around 1895, is being completely renovated and restored by its new owner, Star Mesa Properties. The company, which will put offices upstairs, is also restoring two old murals – known as ghost signs – that were discovered on the side of the building’s brick after a stucco coating was removed. Star Mesa principal Bob Cardwell says the Welton Street corridor, which is developing quickly, has “a fabulous future” and that Goed Zuur will attract people not just from the surrounding area but from all over Denver and elsewhere, because of the ever-increasing popularity of sour beers. “This is the kind of thing we were looking for,” he adds. Fayman will take possession of his space in April and hopes to be open in time for the Great American Beer Fest in October. The ghost sign will remain, preserving mid-20th century nostalgia as 2801 Welton St. in Denver’s Five Points neighborhood is renovated. Once known as Rice’s Tap Room & Oven, the red brick building in the Welton Street historic corridor is one of 13 structures across Colorado that received income tax credits this year through a new program to preserve historically valuable commercial buildings. “The goal of the new tax credit was to not only restore and preserve historic commercial buildings in Colorado, but also to provide an opportunity to stimulate economies across the state,” state historic preservation officer Steve Turner said. In Five Points, once known as the “Harlem of the West,” the Welton Street Corridor is undergoing a rebirth. “The Welton Corridor is an evolving corridor. What we see today and what we will see in five years, is significant change,” said Bob Cardwell, a partner in Star Mesa properties, which is renovating the building at 28th and Welton streets. The building was a touchstone in the Five Points jazz scene when it housed the Tap Room, a jazz club. Star Mesa received preliminary approval for a $165,000 historic building tax credit, to help with the $1 million renovation, Cardwell said. The renovated building will hold a restaurant and office space. The tax credits, which will be awarded each fiscal year, offer a dollar-for-dollar reduction in the amount of tax owed to the government. To qualify, a building has to be an income-producing property, and must be designated as a local, state or national historic landmark or be located in a historic district, History Colorado’s architectural services manager Joe Saldibar said. The credit replaces an earlier historic preservation credit that was capped at $50,000. This meant massive preservation projects, like the $54 million restoration of Denver Union Station, got little in the way of preservation tax credits, Saldibar said. The new, transferable state income tax credits are part of the Job Creation and Main Street Revitalization Act, which became law in 2014. Final approval comes when the project is complete, and meets state standards for historic preservation. The Tap Room restoration wouldn’t have been economically feasible without the credit and unrelated tax increment financing, Cardwell said. About 6-miles away, at 2501 Dallas St. in Aurora, work on the 62 year-old Stanley Aviation building, another of the project granted a tax credit, is expected to be complete this summer. Flightline Ventures began renovating the 140,000-square-foot building in 2015. Fifty tenants are already lined up for space in the building, which will be called Stanley Marketplace, and it is expected to be full the day it opens, Flightline Ventures partner Mark Shaker said. Reviving the 22-acre aircraft ejection seat factory campus to include a beer garden, restaurants and other businesses has already sparked interest in the long neglected surrounding neighborhood. The Stanley property lies just across Westerly Creek from Denver’s booming Stapleton neighborhood. But the Aurora side of the municipal boundary has long been stagnant, said Nadine Caldwell, a former Aurora City Councilwoman. Now “we hear stories of folks walking down the street knocking on doors looking for folks that want to sell their homes,” Aurora city manager George Noe said. Vacant since 2006, the Stanley campus is located in an “opportunity triangle” that connects Stapleton, the mixed-used Lowry neighborhood and the 578-acre Fitzsimons campus, which includes the Anschutz Medical Campus and the Fitzsimons Innovation Campus. Eventually, city officials expect young professionals to flock to the Stanley area, much as they have to the Highlands neighborhood in Denver, Gonerka said. In Greeley, a plan to turn the Greeley Ice House on the east side of downtown, into a historic loft apartment complex, with a new building of affordable housing, qualified for $978,287 in tax credits. The surrounding neighborhood is an “edgy old agricultural area,” near the city’s historic downtown district, said Pam Bricker, executive director of Greeley’s Downtown Development Authority. “I still talk to people who remember going there to pick up blocks of ice,” Bricker said of the almost 90-year-old building. Downtown attractions are within walking distance, and the Ice House abuts the Sunrise neighborhood, a diverse area that flourished in the first half of the 20th century. “We expect this will increase development,” Bricker said. In recent years, Greeley has made improvements to the neighborhood, recently installing a metallic arch to welcome residents and visitors. Also approved for the credits, are the Cannery Lofts and Buddhist Temple, both in Brighton; Cathedral High School, and the Alliance Center, in Denver; the Odd Fellows Building, in Englewood; E.A. Schlitcher House, in Fort Collins; the Home Light and Power Building, in Greeley; the Pearson building in Louisville; Riverside Block in Pueblo; and the Trinidad Opera House in Trinidad. Five Points’ latest apartment project comes complete with dad’s old reminder to turn the lights off. A developer has bought a Champa Street lot with plans for apartments. Photo by Amy DiPierro. Denver-based iUnit bought 0.36 acres at 2250 Champa St. this week for $1.25 million. Brice Leconte said the company is planning to build 60 studio apartments on the site. Leconte launched iUnit about a year and a half ago, and this new project will be the second in which iUnit is testing a concept Leconte hopes will slash rents and energy bills. The fledgling development firm is working on hooking its buildings to a smartphone application that will let tenants pay rent and make maintenance requests but will also give them tips on saving energy and compare their consumption to other apartments. Eventually, Leconte said he hopes to roll utilities into one rent check and cut low-energy tenants a break each month. The first iUnit project is a 40-unit complex named Eliot Flats at 32nd Avenue and Eliot Street in the Highlands. That building is scheduled to open in mid-February, Leconte said. Leconte said all of the apartments will be studios at about 350 square feet. Leconte has yet to nail down final rental rates at Champa Street but said the studios at Eliot Flats start at less than $1,000 per month. Millennial renters will drive leasing at both of iUnit’s projects, Leconte guessed, but he said they have been pleasantly surprised to see some empty nesters take an interest in his projects. Studio K2 is the architect on the Champa Flats project. IUnit will build the complex in components off site and then piece it together. Leconte said building in a warehouse – out of the wind, rain and snow – makes a better building. Leconte declined to say what Champa Flats would cost to build or whether iUnit would put debt financing on the building. In a Form D filed with the SEC in October, Leconte’s firm reported it had raised $1.16 million of a $1.3 million fundraising push. For now Eliot Flats and Champa Flats are the only two projects iUnit is planning in Denver. Leconte said the company is looking to the coasts for new development opportunities and may build studios as small as 300 square feet out of town. In finding a match between a home and a life, the devil is always in the details. But when the little stuff is right, it lets you focus on the big stuff. Those details, small as they are, can keep bad things from happening. Thinking about adapting housing to an aging population’s needs has been part of architect Shekhar Bhushan’s life for nearly 30 years, since his first job. At Bella Vita, the redevelopment of the former city of Aurora office building at South Havana Street and East Florida Avenue that he worked on with Studio K2 Architects, those details go from floor to ceiling, literally. The nuts and bolts of the project read like a list of what homeowners of any age can (and probably should) demand from housing and home improvement: Value, flexibility, and amenities. The current generation of downsizing seniors is very different from that of 25 years ago, Bhushan said. They don’t want to be told when and where they’ll take their meals, or when and where they’ll access the services they might need in the future. “They’ll tell you what they want, and you’ll provide it, or they’ll go elsewhere,” Bhushan said. They also want connection, says the owner and developer of the building that was re-opened this summer. “The biggest thing we’re trying to build there is a senior environment where people still feel like they’re part of the community,” said owner Dennis Witte of Omni Development Corp., a company that had never worked on senior housing before. Aurorans “can go to their same church and their same doctor,” and Omni consulted with a very active homeowners association in the neighborhood, one that has actually booked future meetings into Bella Vita’s common areas. Omni bought the building about eight years ago. Then the commercial-space market in Aurora plummeted, and after a few close misses on bids for the building as office space, “we started thinking, ‘well, what else can we do with it?’ ” Witte said. The something else was maximize its assets. It had location, adjacent to residential housing and retail, but set a few blocks back from busy Havana Street. Its eight stories gave it the kind of views that would have been costly and logistically difficult to achieve building from scratch in urban or suburban settings. The high-rise structure gave it security, one of the qualities that the market research said prospective “55 and better” tenants for the 80-unit building prized. Those tenants also prized a certain amount of independence. So there’s no meal service. There’s a kitchenette and a coffee bar on the ground floor. There’s a wraparound deck on the third floor where residents can grill. But no balconies, because seniors said they didn’t use them. Instead, there are big, floor-to-ceiling windows with sliding glass doors and screens and decorative wrought-iron railings, because Bhushan has learned that the elderly crave and need more air circulation. The lobby, rather than being a cavernous, hotel-like space, is broken into more intimate seating areas, some around a two-sided fireplace, others clustered around a big flat-screen. The reason: The aging eye reads harsh shadows and contrasts as hazards or changes in elevation, and the body reacts quicker than the mind can correct it. In the lobby rooms, there are four layers of light: ceiling can lights, suspended chandeliers, lamps on the end-tables and wall sconces. In hallways, there are three: Carefully shaded fluorescents, cans and wall sconces. Studio K2’s Geneva Kowalski said bulb choices and real glass or onyx shades helped the lighting feel warm. In one of the smaller apartments’ bathrooms, there are two can lights plus a four-light fixture over the mirror. A kitchen in a larger unit has a full six-pack of can lights, evenly spaced across the ceiling. There are 86 units, in sizes ranging from one-bedroom to two-bedroom plus den. Monthly rent, which includes utilities and trash pickup, housekeeping and on-site concierge, range from $1,085 to $2,515. Nearly as much attention went into choosing sofas and chairs for common areas: seat depth, seat height and arms to help one rise were all important. Firm cushions and lots of pillows for lumbar support were crucial; upholstery patterns used similar shades for interest, but low contrast. Dennis Witte’s wife, Debbie, helped choose accessories that gave the models a vibrant but affordable feel, from stores that prospective tenants would find familiar: Pier 1, West Elm, even Target. Each unit’s exterior doorway has its own package shelf, so that residents have a place to set a handbag, briefcase or bundle of mail while they fish out a key. And a light, so they can also see to find it. It’s a particularly empathetic touch. I bike into work every day in LoDo and Mason, my dog, rides along with me in an old Yakima bike trailer. I have a black-and-white chevron dog bed in the purple and yellow bike trailer, and ride a 1986 Celeste green Bianchi, so we are quite a colorful sight to see flying down 15th Street on the way into the office every morning. The trailer and bike can be found locked up outside our office at 14th and Wazee Street, and people usually see Mason and I strolling along the river in the afternoons or grabbing a coffee around the corner at Starbucks. Mason mostly sleeps under my desk all day and greets our clients and the UPS and FedEx delivery persons. We have named Mason our official Office Manager because he keeps us all in line here at Studio K2 and is a constant reminder to not take life so serious and to get a lot of sleep.